The name of Estia boutique apartments in Athens was inspired by Hestia, the Greek goddess of the Home and just like her name suggests it offers a home away from home filled with warmth and a sense of familiarity. A home oozing heritage, style and comfort reflecting the glories, the beauties and unceasing spirit of the land. Paying tribute to its origins, Estia Athens boutique apartments take guests on a journey through Greece, through the light, colors and landscapes defining the capital of Athens, the beautiful island of Crete, the magnificent region of the Peloponnese and the insular jewels of the Cyclades along with the islands of the Ionian sea. Get ready to experience the Greek lifestyle right in the city center and embrace the beauties, the myths and legends of Greece at one of the finest serviced apartments in Athens classified with 4 keys. Situated in the historic district of Metaxourgeio, near the acropolis and some of the most renowned sights and attractions of Athens, Estia’s fascinating boutique central apartments will certainly exceed your expectations. Each designed to reflect the culture of a particular region in Greece, welcomes you to experience the epitome of the Greek life. From mouth-watering Greek breakfast, business arrangements and sightseeing excursions, this is your gate to the authentic Greek way of living. So, if you are seeking for a one-of-a-kind accommodation in Athens, Greece, plan the most delightful family vacations or holidays with friends in the heart of the city. Surrender to the modern comforts and refined pleasures offered at these upscale apartments in Athens and experience the authentic Greek hospitality in its finest form. Cosy, intimate and with unique character, the double rooms cover an area of 16 square meters beautifully structured and designed to ensure premium comfort. Over an area of 23 square meters, these beautifully appointed studios offer a city haven of relaxation and tranquillity. Encompassing an area of 35 square meters, the exquisitely designed one-bedroom apartments of Estia boutique apartments provide a haven of tranquillity and calm for all guests. The Superior Two Bedroom apartments offer plenty of space to comfortably accommodate a group of friends or families of up to 6 guests. Experience the vibrant city lifestyle of Athens while staying in the heart of the action. 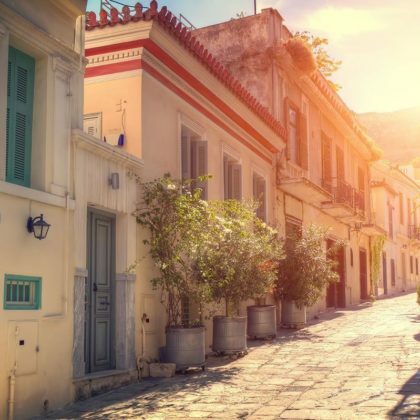 Walk the cobblestone alleys, enjoy your coffee in view of the Acropolis, taste some local street food and pass by the souvenir shops to bring some memories back home. 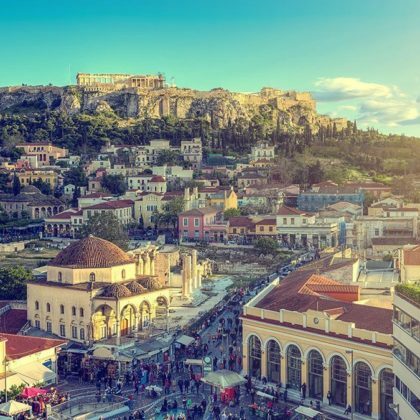 Visit the Acropolis, the ancient Agora, the art galleries and museums, embrace the history and tradition and take some photos at the city’s most renowned sights and landmarks. Plan a business trip in Athens crowned with success and combine your business activities with fancy dinners and late night drinks at some of the city’s trendiest restaurants and bars. At Estia boutique apartments in Athens we value your comfort and strive to provide you with anything that will turn your holiday into a memorable experience. Offering the best location to stay in Athens, Greece, Estia boutique apartments provide the perfect starting point for your city excursions. Set in the historic residential areas of Metaxourgeio and Kerameikos, Estia boutique apartments offer you an abundance of places to visit and things to do in Athens.